KayKiSpeaks.com: Big Sean Talks Patience in New Short Film ft. Kanye West, Rihanna, Ariana Grande, & more! 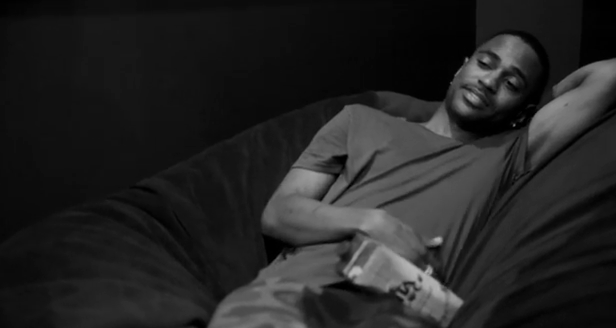 Big Sean Talks Patience in New Short Film ft. Kanye West, Rihanna, Ariana Grande, & more! Big Sean is gearing up to release his album, Dark Sky Paradise set to drop on February 24th. In the video the rapper opens up about his personal journey and lesson on one of the best virtues- patience. Sean discusses his ups and downs and the lessons he's learned from them in the black and white flick. The video features some of your favorite celebs, Jhene Aiko, John Legend, Rihanna, Kanye West, Kim K, his boo Ariana Grande, and more! Check out Sean's simple but profound thoughts on patience below, and stay tuned for his new album.